Please visit Ajay’s new blog a treat to for eyes and your soul! 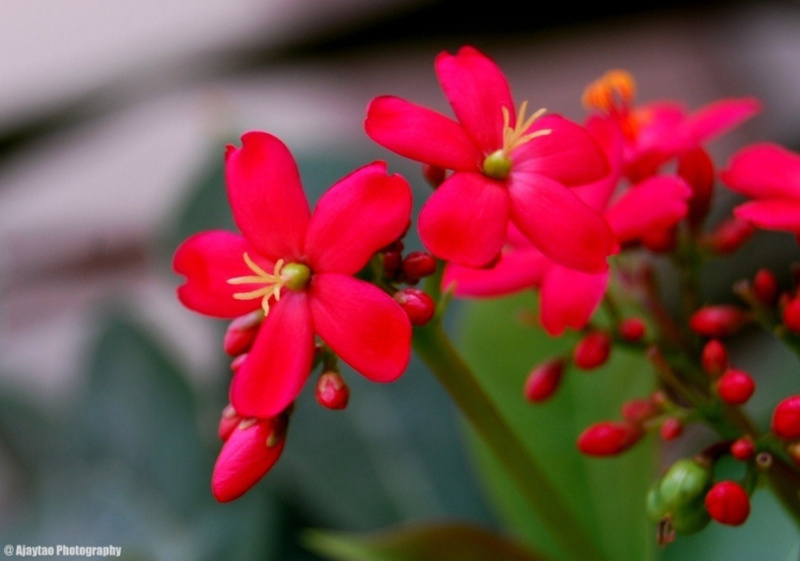 The flower clusters of this Jatropha are a brilliant scarlet red, or sometimes pink in color. Each individual flower has star-shaped petals with small yellow flower parts. But there’s something unusual about this plant – the male and female flowers grow in separate bloom clusters, either at different times or on different parts of the same plant. It is strongly attractive to hummingbirds and butterflies, especially to monarchs, swallowtails and zebras.